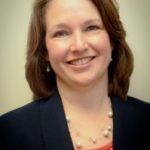 In a recent interview, we asked Elaine Fairman, Executive Director of the Business Expansion Funding Corporation (BEFCOR), to share with us how 504 loans are perfect for financing business expansion. BEFCOR is a non-profit lender that offers long-term financing to emerging and expanding businesses in North Carolina and four counties in upstate South Carolina, using the SBA 504 program. SBA 504 loans provide up to 40% of a fixed asset project, which can include land, building, renovations or construction, machinery and equipment, and professional and closing costs. In most cases, a bank will finance 50% of the project cost, and BEFCOR, via the SBA 504 program, can finance up to 40%, which means the small business’ down payment is usually only 10%. There is a fixed interest rate for 10 or 20 years. 504 loans partner with bank loans; the borrower selects the bank or BEFCOR can make sugestions. It is a long-term solution to financing long-term assets (10 or 20 years). There is a low down payment, usually 10%. Machinery and equipment loans are available. It is often less expensive than other similar programs. Working capital is preserved by not depleting cash reserves or lines of credit. 504 loans can often finance soft costs, and professional fees if eligible. The interest rates are low, typically below market rates. BEFCOR provides full-service 504 packaging with experienced staff and exceptional customer service! Question: I have heard that SBA loans require a lot of paperwork and take months for approval. Is that true? Answer: SBA has several loan programs, and the application process differs based on the type of loan your business needs. For fixed asset financing, the SBA 504 program is often the best option. 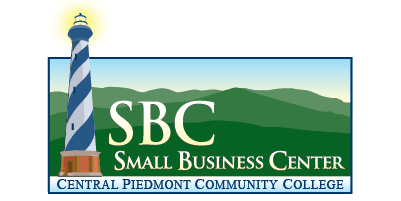 You can apply for an SBA 504 loan ONLY through an entity such as BEFCOR or one of the other Certified Development Companies (CDC) in North Carolina. BEFCOR has experienced loan officers, and our process runs smoothly. We work closely with our business clients and bank partners to minimize duplication and to assist in application preparation. Once your application is completed, I am confident you will find the perception that SBA loan approvals take a long time is a myth –we generally see approvals within 3-6 days after SBA’s receipt of a complete application. Question: Is an SBA 504 loan the same as an SBA 7a loan? Answer: No. Both can be excellent tools for financing, but each has its own advantages. If your business needs a very small amount of financing or is seeking working capital financing, 7a may be a good option. SBA 7a loans can also be a great option for partner buyouts or business acquisitions. You get a 7a loan from a bank or non-bank lender. BEFCOR does not offer 7a loans. If you are financing land, building, construction, renovation, machinery, or equipment, there is a great chance that an SBA 504 loan is going to be the best solution. BEFCOR, or another CDC, can offer SBA 504 loans. If we can explain the differences in the programs, please call us. Many business owners find that learning about the programs can equip them with the knowledge to make the best decision for their business. Furthermore, the cost savings and long-term benefits can be significant, depending on the situation. Question: If my business needs to buy a new building and finance new equipment, can it be processed together as one SBA 504 loan? Answer: Most likely. This would depend on the type of equipment. After learning the specific details, we can look at your situation and provide an answer at that time. Question: I don’t think of my business as being small. Our sales have grown to $5,000,000, and we have 25 employees. Is there a program for me? Answer: Congratulations on growing your business and creating jobs in our market! You are helping our economy in many ways – growing businesses are a cornerstone of our region. SBA defines a small business as one with a tangible net worth of less than $15 million and average Net Income (last 2 years) of $5,000,000 or less. Most businesses meet SBA’s definition and are eligible. We would welcome the opportunity to quickly determine if your business meets SBA 504 eligibility criteria. Thanks to Elaine for taking the time to share this valuable information with us! If you would like more information on BEFCOR or 504 lending, visit BEFCOR’s website, follow them on Facebook and Twitter, or give Elaine a call at 704-414-3000!